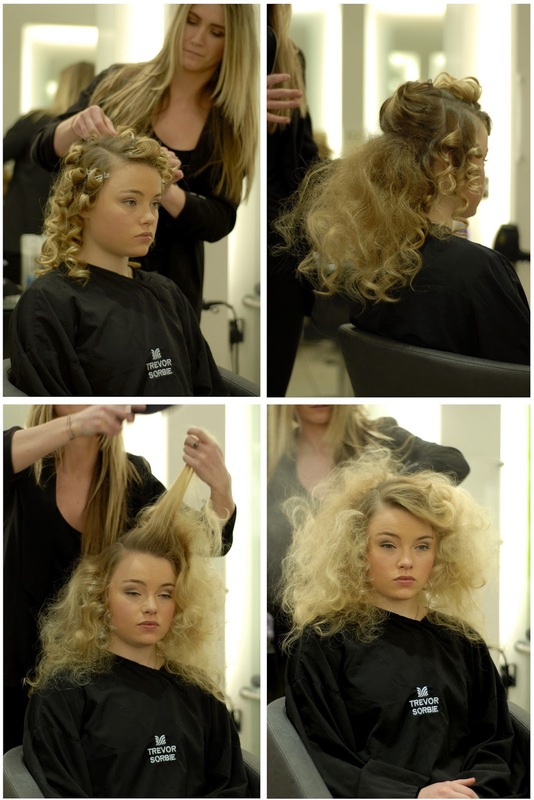 Last week Holly and I headed down to Brighton's Trevor Sorbie Salon for the Catwalk to Salon event. 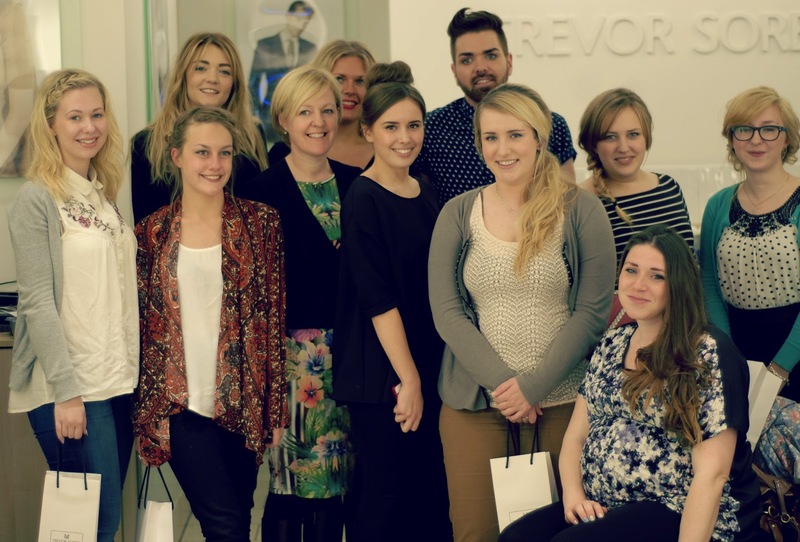 The weather was dreary and wet but inside the bright salon we were greeted with drinks, nibbles and the sunny faces of the Salon team and Brighton Bbloggers. 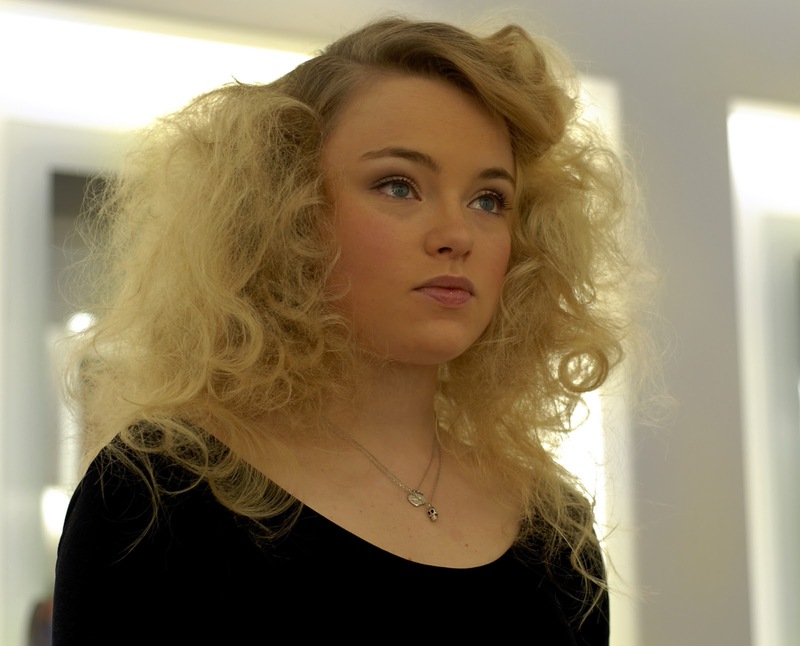 Two hairstyles from the AW13 catwalk were demonstrated by Anna and Fergal, Trevor Sorbie Stylists who had worked at London and Paris fashion weeks. The first style was from Marc Jacobs and was inspired by the big backcombed hair of the 1970s. The hair was first parted low to the side, then curled with a small wand and each section was pinned to keep the curl in shape. The hair was teased carefully with a Mason Pearson type brush to give huge candy floss style volume and then sprayed with dry shampoo for hold and to make it easier to style into place. Anna left a few inches either side of the parting unteased to avoid the 80s permed look, and used her fingers to position a side fringe before pinning into place. I really like this look, its quite dramatic for everyday wear but slightly toned down I think it would be a great bouncy almost messy look for a night out, and definitely a head turner! The look created by Fergal was a wet look sporty ponytail from the Peter Pilotto London show. Fergal first ran mousse through the model's hair before scraping it back with his fingers into a ponytail square with the eyes. 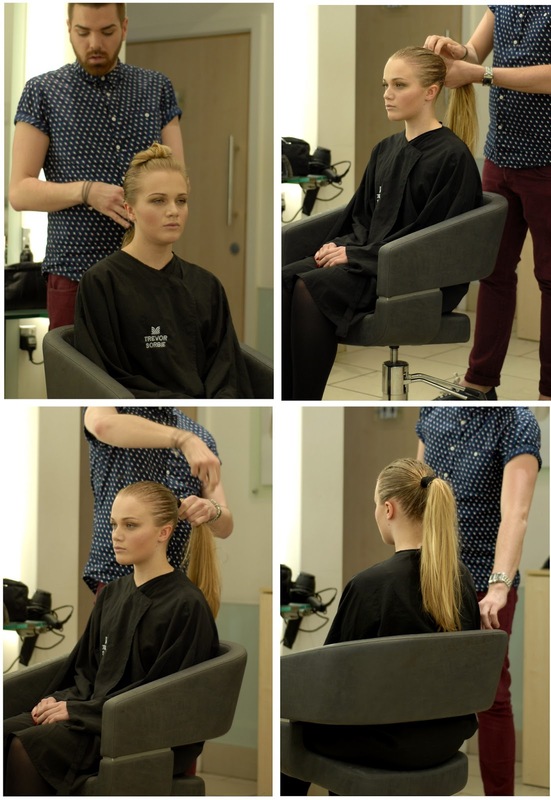 The placement of the hair was key with this look- it need to be high enough to look sporty and it was aimed to be placed as an extension of the jawline to reference the features of a horse's face. The hair was then wound with lengths of black elastic that held it tight in place extended from the head to emanate the way a horse's tail is elevated during dressage. Water and oil were then sprayed across the head and through the lengths to keep the hair looking textured and wet. I'm not sure I could pull off the wet look aspect of this style but I do like the idea of extending the hair out from the back of the head to make a normal ponytail more interesting and fashionable. After the main demonstrations we were each treated to a little demo on our own hair of looks we'd seen in magazines and on the catwalks, and I got some great hair tips from Fergal. Fergal showed me how to do a Milkmaid Braid style look with fishtail plaits that Ive been seeing all over the internet recently and I was so pleased with the results! I havent quite perfected my braiding skills yet but am really looking forward to trying this style myself as I often find it hard to think of up-dos for my hair. It was lovely to meet everyone from the salon, including Kate the salons director and colour specialist, and I had a really lovely evening chatting hair with everyone! As we left we were given a goody bag which so kindly included a complimentary colour and/or cut and a few other goodies that I will be posting about soon! The Trevor Sorbie Brighton salon offers cutting, colouring and blowdrying services as well as a nail bar and complimentary fringe trims for all clients, and I will definitely be back soon! I absolutely loved what Fergal did with your hair, it really suited your face shape! Most of my curls fell out in the rain/wind on the way home! 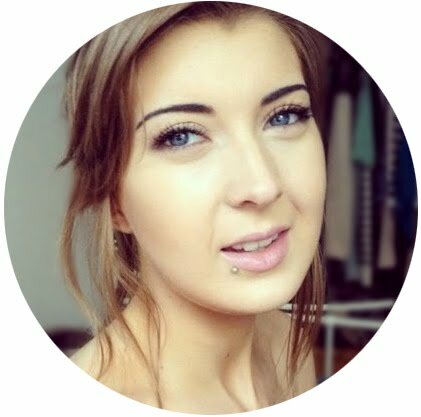 Great post, I love your hair!